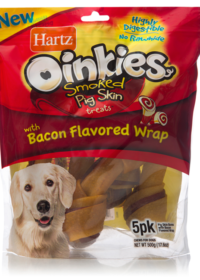 Pig Skin Twists offer hours of delicious chewing that boosts your dog's dental wellbeing. 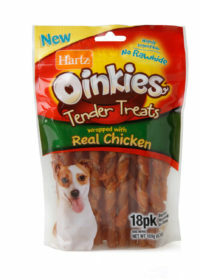 Twist up your dog’s treat stash with Hartz® Oinkies® Pig Skin Treats. Each chew is baked, then smoked and then baked AGAIN to lock in that rich, savory flavor that your dog can only get from Oinkies®. Long-lasting treats keep dogs entertained and chewing and come in 4 delicious flavors: chicken, beef, bacon and peanut butter. 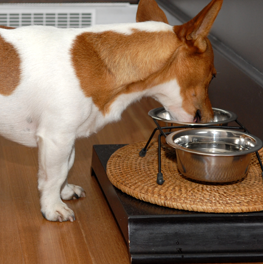 These dog treats aren’t just long lasting and highly digestible, but also delicious! Twice baked and smoked with savory flavors dogs go crazy for, the sound of the resealable bag will start noses twitching instantly! 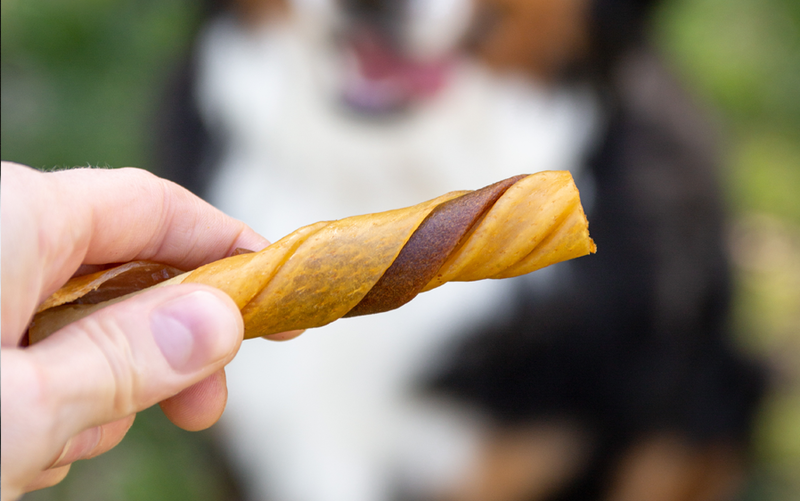 Your dog is part of your family, which is why we’ve developed a treat that’s long-lasting AND satisfying. 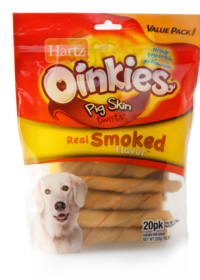 Oinkies® are hand rolled from 100% real pig skin. 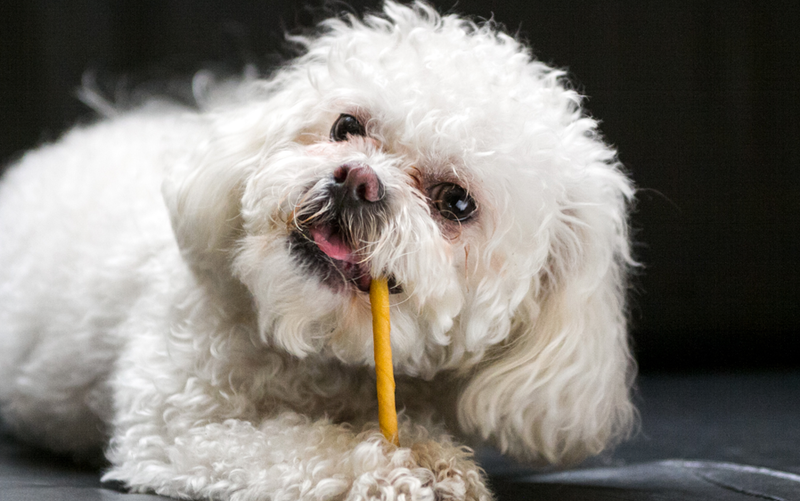 Because they’re rawhide free, Oinkies are highly digestible and satisfy your furry friend’s innate instinct to chew. 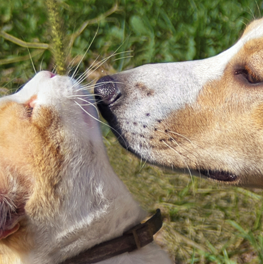 Treat your canine companion to a chew you can feel good about giving. 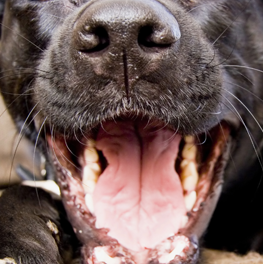 Through chewing, Oinkies® promotes dental wellbeing with a signature twisted texture that naturally reduces plaque and tartar formation while dogs gnaw away.